Making the journey to motherhood a little smoother High-risk pregnancies have their challenges, and our award-winning obstetrics department has solutions. Maternal-Fetal Medicine (MFM) specialist Dr. Harry and team provide excellent options for high-risk women who need to monitor their health and the health of their babies. For more information about our services, call (317) 528-5224. Grab your headphones and your joystick and head to one of the coolest new gaming centers in Indy. 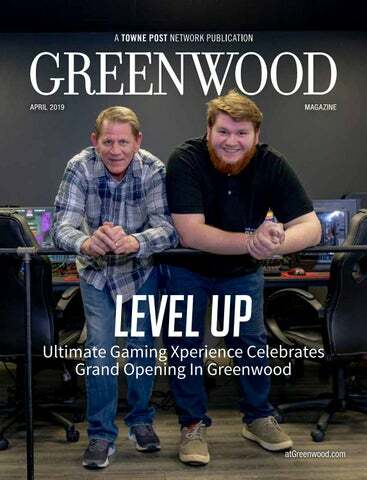 Ultimate Gaming Xperience recently opened in Greenwood in February, making it the first center to offer e-gaming, virtual reality rooms, e-sports tournaments and movie rooms all under one roof. 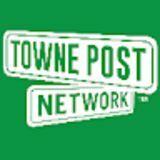 The Greenwood Community Magazine is published by Towne Post Network, Inc. and is written for and by local Greenwood residents. Submit story ideas to PR@atGreenwood.com. 23	Total Lawn Care: What Is An Organic Approach? have just blown me away with the people, donations and opportunities that have been (presented,)” Martin says. “Saying that (these women) are a blessing doesn’t scratch the surface of my gratitude for keeping Zoe’s life alive, showing our parish children how tragedy can be molded into charity, beautifying our parish community and keeping me spiritually alive.” The Supermom Brunch to Benefit We Are Zoe STRONG Foundation On May 4, the We Are Zoe STRONG Foundation honors Zoe’s mom, Laura, as well as all the Supermoms of the community by hosting brunch at O’Charley’s Restaurant & Bar at 886 S. SR 135 in Greenwood. Pick from one of two brunch seating times: 8-8:45 a.m. or 9-9:45 a.m. and feast on eggs, bacon, pancakes, rolls and more. Moms eat free with the purchase of an adult ticket ($25). Youth tickets (4-12 years) are $8, and kids under 3 eat free. To learn more or to make a donation to the We Are Zoe STRONG Foundation, visit wearezoestrong.org. RocktheBlockRun.org • 10 K Run • 5 K Walk/Run ( Family-Friendly) • Food - Music - Vendors • Awards & Giveaways! business, they’re ready for it. Ultimate Gaming Xperience held its first tournament in March. It was a two versus two tourney in Fortnite. “We already know we’ll have to expand in the future and need more equipment,” Ron says. One thing they’re already prepared for is catering partners for concessions and parties. They’ve already partnered with Chicago Pizza and Chick-fil-A for catering opportunities. The center is just getting started, but Ron, Riley and Jordan are already ramping up for additional opportunities to offer. Their theater room is already available to show movies, and they’re open to organizing birthday parties or other functions. In the future, Ultimate Gaming Xperience may expand the franchise to other Indianapolis communities. But, in the meantime, the center serves mostly Johnson County and the southside. For more information, visit them online at ultimategamingxperience.com. Ultimate Gaming Xperience is located at 1285 N State Road 135 in Greenwood just behind Rise’n Roll Bakery. ince launching his own catering company in July of 2018, Keith Johnson has been one busy man. And so far it’s working out rather well. Smokehouse already has more than 80 weddings on the books for 2019 and caters for more than 30 event centers on the Southside of Indy and in surrounding counties. 100 percent positive feedback every time. I stay in touch with customers throughout the process and personally talk to most of them after the event.” Smokehouse is also in the process of outfitting what Johnson says will be Indiana’s largest food truck and catering trailer — a 50-foot gooseneck trailer that will include two smokers, two chicken cookers, a whole-hog cooker and a seven-foot Santa Maria-style grill. “We’ll have the capacity to cater for about 2,500 people at a time with the trailer,” Johnson says. “It won’t be used in the usual food truck sense of just showing up downtown, and it will be used for larger catered events. We’ve been getting inquiries to do bigger catered events where we need mobile access.” Johnson feels grateful that his catering operation has brought him closer to individuals and organizations throughout the southside. “I have a freshman, a fifth grader and a second grader down here so I’m very tied to the community anyway through my kids,” he says. “With the business, we are very civic minded and involved in a lot of sporting events and community events. Just this year we’ve already done stuff for football, basketball, bands, fine arts and the fire and police departments. We’re really involved in the community and that’s what I enjoy the most.” Smokehouse Catering Company is located at 1275 West Main Street in Greenwood. Call or text 317-716-8889 or visit smokehousecateringco.com for more information including a menu and full list of services. Quality Care . . .with a Gentle Touch! We welcome new patients! Our practice offers family and cosmetic dentistry to patients of all ages. We accept most dental insurance plans and offer an oral health savings plan for those without dental insurance. We even offer CareCredit financing. You are invited to our Open House Friday, April 26, and Saturday, April 27. We look forward to showing everyone our new 5000 sq ft showroom. We have chemicals, spas, hearth products, toys and games and more. We have added new products as well. Special sale prices will be in effect during this event. Don’t forget to ask about becoming a Reward Card customer for added discounts. for their funds to support. Additionally, it’s a great way to stay in shape. And it’s nice to see people in the community value the things you do, like health and wellness.” Jahnke says that she is extremely proud of both her children for all their efforts and that Rock The Block has become a tradition for her entire family. For Karol Brandon, board director for the Center Grove Aquatic Club and mother of three, Rock The Block is also a family tradition. She has participated in the event since its conception. “My family loves to stay fit, but rarely takes the time to exercise together as our schedules are so hectic,” Brandon says. “Rock The Block is a great way for us to enjoy the day together and with our friends and swim family as well.” According to Brandon, Rock The Block does so much for the community. Not only do multiple charities benefit financially, but it brings the community together for a morning of fun. “Since weather isn’t always predictable, the student activity center has enhanced the experience for celebrating with friends and family and thanking the sponsors after the event,” Brandon says. him to develop relationships with several local businesses. “Right when I started getting on social media and stuff with RocketShark, Xcaliber in Mooresville reached out to me and wanted to get their name on my car,” he says. “My car looks great now with some really great decals. I was the first sprint car they ever put graphics on and they’ve done several since.” Having spent most of his life around cars and racetracks of some sort or another, Galedrige feels motorsports, and the IRS in particular, provide a unique type of entertainment that all ages can enjoy. “It’s hard to compare to other sports because the biggest motorsports here in Indiana are IndyCar and NASCAR, and those are seen as this grand, expensive outing where you don’t get to see the cars up close,” he explains. “When you go support your local dirt track it’s very personal and the sensations are more in your face. At the end of the race, most tracks also open up their pits so you get to go look at the cars and talk with the drivers. It’s a really good bang for your buck.” For for information on the Indiana RaceSaver Sprints series, including 2019 event dates, visit facebook.com/ Indianaracesaver. For additional details on RocketShark Motorsports, visit facebook.com/RocketSharkMotorsports. Sarah Beeson, DO and Sean Beeson, DO, are now scheduling patients at the Greenwood Primary Care Center. Drs. Sarah and Sean Beeson, both board certified in family medicine and osteopathic manipulative treatment, are happy to be “back home” in Johnson County and look forward to serving your family with exceptional health care. Call us now to schedule an appointment at the new Greenwood Primary Care Center on U.S. 31, just south of Smith Valley Road. No rate changes. No annual fee. No closing costs. No kidding. With a 5 year fixed rate, there’s no telling what you can do with a Lake City Bank Home Equity Line of Credit. Call (888) 522-2265 for details. lakecitybank.com Drop in. *Offer good through 7/31/2019. The promotional Home Equity 5 Year Fixed Rate Lock of 3.99% APR requires credit approval, an 85% or less loan-to-value ratio (90% loan-to-value if first mortgage is with Lake City Bank) and an automatic payment deduction from a Lake City Bank checking or savings account (higher APR applies without an automatic payment deduction). Terms of Repayment per $1,000 borrowed: 60 monthly payments of $18.41. Minimum loan amount is $5,000 with a cumulative maximum of $200,000. Contact Lake City Bank for other rate and term options. A refinance of a current Lake City Bank Home Equity Fixed Rate Lock does not qualify for the promotional rate. You must carry insurance on the property that secures your Home Equity line of credit. Institution ID# 431669.
boun EE e doorce house vent wit prize s, ga h s & m mes ore! kitchen and often got compliments on her pies. Pie was also a family tradition. Kelly Maucere has taken the pies she made from her kitchen in Zionsville and now has made the southside a little sweeter by opening a second My Sugar Pie location in Greenwood. After thinking about what she liked to do and wanted to spend her time doing, Maucere decided to start My Sugar Pie almost 12 years ago. The Zionsville location opened in 2011. When one of Maucere’s longtime employees, Molly Worley, moved to Greenwood, she wanted Worley to have her own shop. Maucere’s friend and client is the long-term leasing manager for the Greenwood Mall, so the location was a perfect fit. “I’m really excited about this location because there’s a lot of foot traffic, and it’s an opportunity for us to kind of expand our repertoire of what we do,” Maucere says. The Greenwood location features a refrigerator, freezer and refrigerated display case, which allows them to serve cream pies by the slice, something that isn’t available in Zionsville due to a limited amount of refrigeration space. In addition to fruit, cream and various other pies, My Sugar Pie also offers retail products such as mugs, t-shirts, aprons and kitchen items. “Everything that we’re using here in our kitchen, those are the items I look for to sell at our stores just to make it the full experience,” Maucere adds. The business name, My Sugar Pie, comes from Maurcere’s mother’s nickname for her grandchildren — sugar pie. Maucere makes each mix, and the pie recipes come from her, her mom or pastry chefs who work at My Sugar Pie. “The pastry chefs that I’ve hired that work here, I always give them kind of the goal of coming up with a new recipe for us to feature,” Maucere says. Now that she’s opened two locations, Maucere is considering other future expansion opportunities as well. The Greenwood My Sugar Pie is located inside the Greenwood Park Mall. They can be reached at 317-893-5355 or greenwoodbaker@mysugarpie.com. You can also visit them online at mysugarpie. com. TOTAL LAWN CARE WHAT IS AN ORGANIC APPROACH? We have been in the lead of using more biology and less chemistry. One of our founders is an Agronomist from Purdue, a soil scientist. He works with the team at TLC and with various manufacturers, distributors and developers of lawn products to find the right products and combinations to build the soil. We are utilizing biology to replace some of the chemistry as we build the soil. Many of the newer lawns have poor soil, a clay-pea gravel mix that leaves a lot to be desired. These soils have low nutrient value as well as they bind up the nutrients that tend to be there. Just using organic fertilizers doesn’t help reduce the amount of nitrogen being put on the lawns, it’s just another form of it. With the use of only organic fertilizers, we still have that whole nitrogen cycle which ends up with ammonification and nitrates into the water system. By using biosolids and a variety of things like kelp, humic and fulvic acids, amino acids, mychorrhizea, micro nutrients and other ingredients we are increasing the microbial activity in the rhizosphere. When we increase the microbial activity we are getting nutrients released from the soil which are then more readily available to the turf plant through its root system. The soil and the root system both have a negative charge, and when we can break off these nutrients with a positive charge from the soil they can then be taken up by the root system. By adding carbon into the soil we increase the surface area where these nutrients can also be stored and not just passed through the soil. Some of these products also cause small microfractures of the soil particles leading to more surface area to hold onto these nutrients as well. We practice IPM, Integrated Pest Management, and with our low pressure, low volume applications we can reduce our pesticides as well. We have a great team. Many of our team members have been with us for more than five years, up to 25. We have seven guys with more than 25 years of experience in the field.